Photojournalist Anindya Chattopadhyay with Ritu and Chanchal. 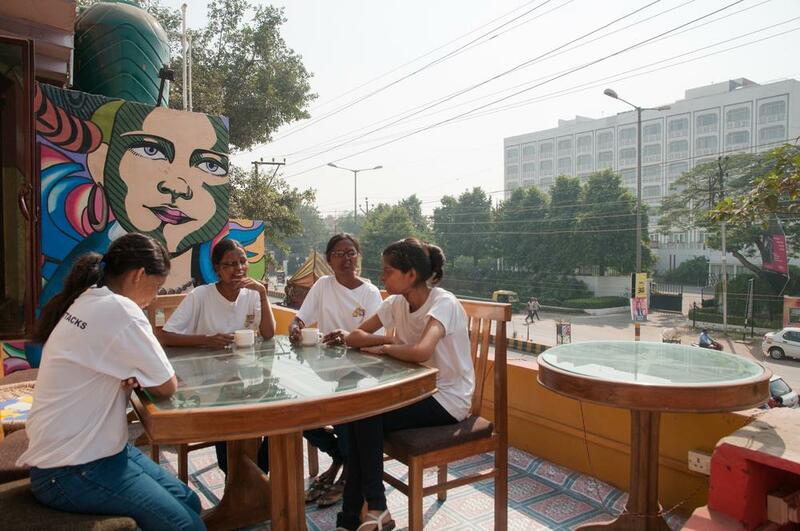 Sheroes Cafe in Agra opened recently is managed by acid-attack survivors. Pix from Al Jazeera. There are acid attack survivors who have been suffering for as long as 15 years and nothing has changed after 23 operations but they hardly get any media attention. On the Stop Acid Attacks website I was reading the story of a lady who actually said no to further operations because it did little to better her appearance and discomfort. There are stories of hope too. The bustling Sheroes Cafe at Agra, near the Taj, which is run by acid attack survivors is a story of triumph. I have never met an acid attack survivor but photojournalist Anindya Chattopadhyay has. Delhi-based photographer Anindya Chattopadhyay (employed with Times of India) is an activist at heart. He uses the social media to keep reminding us about what’s happening around us through his photographs and keeps doing it even when the frenzy around an issue has died down. Here Anindya talks about meeting acid attack survivors on an assignment and how it changed him as a person. 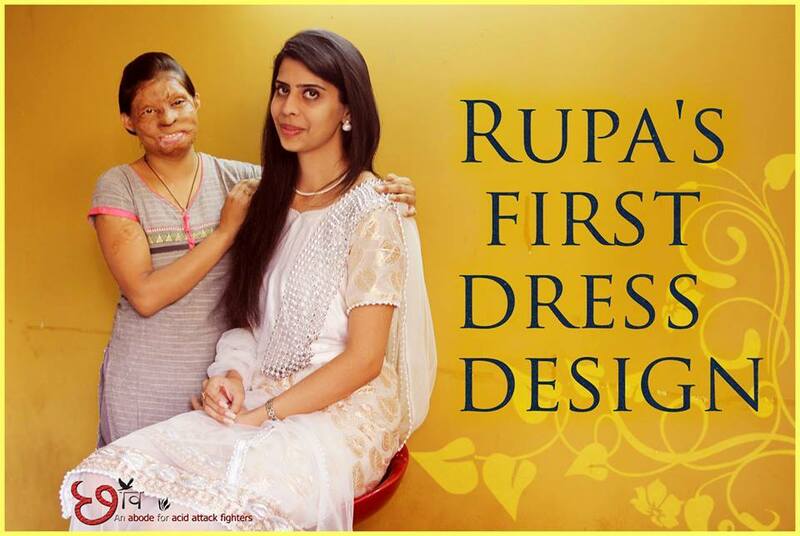 A couple of years back I was assigned to shoot acid-attack victim Chanchal Paswan in Bihar. She was a high school student when four guys poured acid on her when she was asleep with her family on the terrace. I literally cried after meeting her. I was ashamed to represent a society that harbours such heartless men who could do this to a young girl. We are supposed to be objective in our outlook and treat every assignment as a job. But it was very hard for me not to feel her pain. Or probably I didn’t? I would probably never know what she felt or feels now. Ritu and Chanchal. photograph by Anindya Chattopadhyay. Later I again met her at a seminar attended by several acid attack survivors like her and human rights activists. This was an inspirational shoot for me. I had interacted with almost all of them for assignments before. So they knew I want to focus on their inner strength and beauty through my lens. meeting Chanchal for the first time. After meeting those survivors I realised what is inner strength and mental power. For me the very definition of womanhood has changed after knowing them. I am grateful to Ritu and Chanchal that they allowed me to pose with them. harmful commonly available acid is. Shopkeepers need to be made aware that it is no longer legal to stock these in their stores without a license. 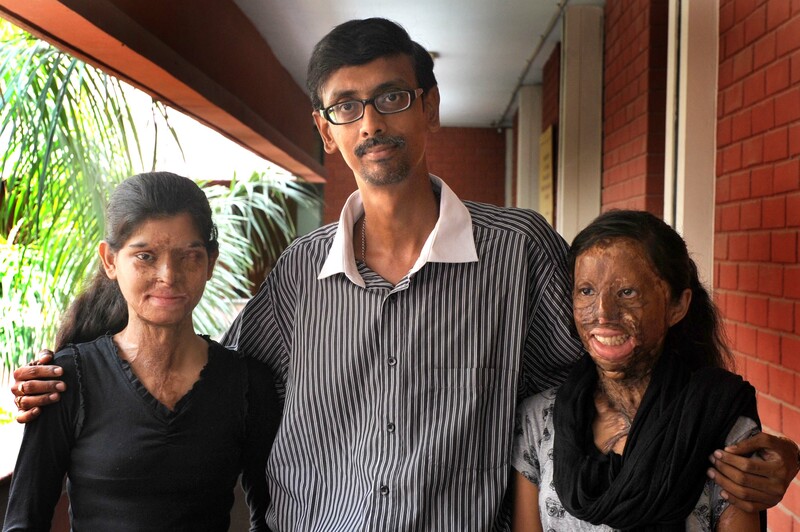 Why can’t we employ an acid-attack survivor? for reformation, not those who are attacked. Any help has to begin with acceptance. It makes me immensely happy to know Rupa has become a dress designer and Ritu is helping her and Chanchal plans to go back to college. This cafe that they have started is a very positive step and I wish them all the success. Surgeries required by acid attack survivors is very expensive and they need stringent post-operative care. Raising funds for their surgeries can be another way of helping them. Right now, there is no institutional framework to provide acid attack survivors with psychological counseling and monetary help from the state can only go so far. Rs 3 lakhs given by the government is nothing for the treatments they have to go through. Thank you Nakul for your comment and for sharing your views about an interaction with an acid attack survivor here.